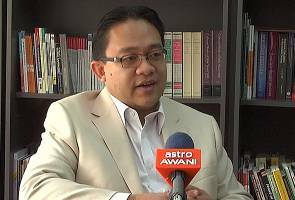 WAN SAIFUL: The Prime Minister must decide what is best for the country in the long run and not what is politically popular in the immediate term. He then must lead the campaign to do the right thing. KUALA LUMPUR: The conclusion of the Trans-Pacific Partnership (TPP) negotiations in Atlanta in the United States yesterday was a historic achievement, the Institute for Democracy and Economic Affairs (IDEAS) said. IDEAS CEO, Wan Saiful Wan Jan, said this was due to the size of the economies involved and trade measures to be implemented under the TPP Agreement (TPPA). "I look forward to the full text being available for public scrutiny as they must be fully involved now," he said in a statement today. Wan Saiful also urged the government to table the TPPA text in the next Parliamentary sitting so that the Parliamentarians could make informed decisions. "Most importantly, the Prime Minister Datuk Seri Najib Razak must decide what is best for the country in the long run and not what is politically popular in the immediate term. He then must lead the campaign to do the right thing," he said. Following the conclusion of the TPP, International Trade and Industry Minister Datuk Seri Mustapa Mohamed said in a statement that Malaysia's concerns in the negotiations were considered by all parties and the country's accession to the TPPA would be decided collectively. Among Malaysia's concerns are in the areas of government procurement, state-owned enterprises and the Bumiputera issues. Meanwhile, US-based global logistics provider and leading advocate for global trade, United Parcel Service Inc (UPS), has commended the 12 TPP negotiating nations on the conclusion of the agreement. UPS Asia Pacific Region President, Nando Cesarone, said the TPPA was vital to the US economy, supporting global growth and spurring job creation. "The TPPA addresses many complexities surrounding cross-border clearance which we hope will enhance predictability, boost confidence and allow more small businesses to participate in trade," he said. UPS Malaysia managing director, Lim Tze Hsien, said the TPPA would help Malaysia to expand trade and investment with its major trading partners such as the US, Japan and Singapore, and gain better access to markets in Mexico, Chile and Peru. "The TPPA will increase exports and create more jobs that will highly benefit the economy and productivity of the nation," he said. The TPP negotiating countries represent nearly 40 percent of global gross domestic product from the Americas to Asia.